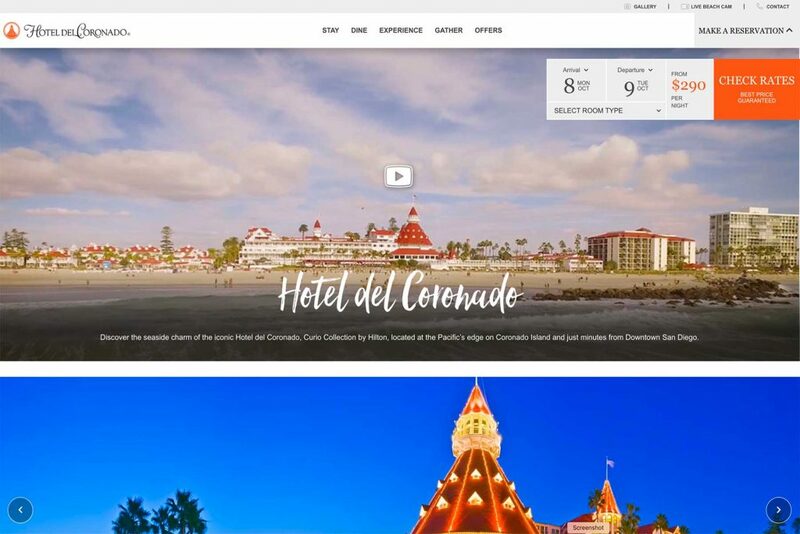 Redesigned 2018 Hotel del Coronado Website. Custom programming, WordPress custom theme. Events Online provides regular updates to the Website for their two properties. Hotel del Coronado and the Beach Village at the del.